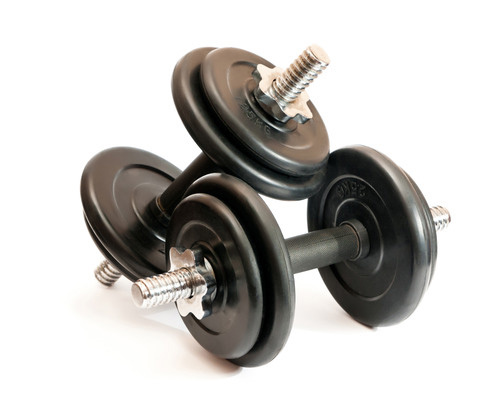 Weight training is a terrific way to maintain and build muscle mass, especially as you age. Strength training, as it’s also called, helps with bone health, metabolism, and cardiovascular fitness. In fact, it’s a crucial part of a balanced fitness regimen that includes flexibility exercises and aerobic activity. However, if not done correctly, then you could injure yourself while training with weights. Full range of motion, proper technique and safety precautions are key to preventing injuries to muscle, joints, and connective tissue, especially to the shoulder, knee, and back since they carry and distribute most of the weight in many strength training exercises. Fortunately, many of the most common injuries – such as patellar (knee) tendonitis, shoulder impingement syndrome, rotator cuff tears, back sprains and strains, and herniated discs – are treatable, and, better yet, largely preventable. Always Warm up and Cool down: Before and after a workout stretch your muscles for five to 10 minutes, focusing on the muscles you’re working. Focus on Form over Weight: Practicing perfect form instead of focusing on lifting the most weight will reduce your chance of injury and increase the benefits of strength training. So do more reps and avoid maximum lifts. Training with proper shoes and clothing go hand in hand with proper technique, as well. In addition, make sure the equipment you use is in good condition. Just Breathe: Breathe out as you lift the weight and breathe in as you lower it. Never hold your breath as it might cause increased blood pressure. Go Slowly: Start with body weight exercises for a few weeks before using weights. When you start with weights, don’t use momentum or jerking motions to lift. Stick with safe lifting speeds. Give Muscles a Break: Alternate which muscle groups you work each day, and don’t lift weights on back-to-back days. Don’t lift more than you safely can. Never lift with your back. Train with a Buddy: Using a spotter while lifting weights decreases the chances of injuries or accidents. Get Advice from a Professional: Consult with a coach or trainer who can advise you about proper technique. A coach or trainer can recommend strength training exercises, as well as provide some good warm-up and cool-down exercises. Stop If You Feel Dizzy, Faint or Pain: If you feel dizzy or faint from holding your breath, hyperventilating or becoming overheated, then put down the weights, sit down and rest for a few minutes. If you develop a cold sweat (indicating possible shock) and/or still have difficulty breathing, then stop and seek professional medical help. Don’t Push through Pain: There’s a big difference between tired muscles and overstressed and fatigued muscles. The goal is to push your muscles, not to overtax them to the point of injury, which could be anything from a pulled muscle to those resulting from dropped weights or other mishaps. If you feel pain during a lift, move to exercises that work for a different muscle group. Trying to lift through the pain can turn irritation into injury. If pain persists and/or becomes severe, then stop and seek professional medical help. Check with Your Doctor: Before starting any exercise regimen check with your doctor to make sure it’s safe for you. In particular, a chiropractor can help you with weight training by advising what stretches and exercises are best to enhance your workouts and the chiropractic care you receive from him or her. Following these steps will go a long way in preventing weight lifting injuries. However, if you sustain an injury, then give Dr. Goldman a call at (631) 447-2299 today. He can help with conditioning, pain management, and exercises to improve flexibility, adjustments to extend the range of motion and adjustments to strengthen balance and improve posture and alignment. Studies have shown regular chiropractic care help athletes recover more quickly and heal properly so they can get back to the gym sooner.